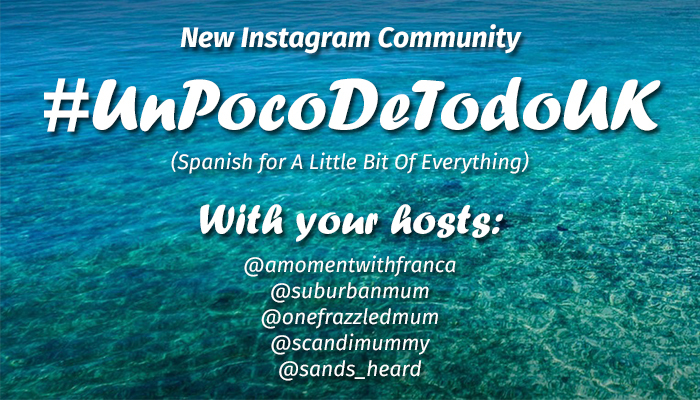 Welcome to the first week of this brand new Instagram Community linky #UnPocoDeTodo that the lovely Maria, Tracey, Sandy and Nadia will be hosting with me from now on. 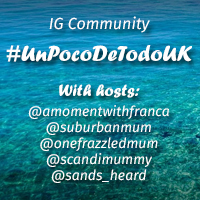 The name of the community is #UnPocoDeTodoUK which is Spanish for “A Little Bit of Everything”. We are so excited about it! You can also find out more about this linky in the #UnPocoDeTodo Linky Page. This community will have rules, so hopefully we will all benefit from it! I really hope this community will help us all to boost our Instagram accounts but in order for it to work we have to share the love. It is a similar concept to #KCACOLS. 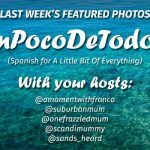 Each week will be a separate linky party that you will need to link up the link of your Instagram photos. This way we have a list of people that have joined us so I can track that everybody is following the rules. Because we are 5, we have come up with 5 different themes for your photos each week. Each week we will come together and choose our 5 favourite photos, which would be added as a link back to you as we will share them in the following weeks linky post. This will give you a chance to increase your DA. We will also feature a 6th photo of the person that has spread the love the most. I always like to reward people who have been generous in this way! What a fab idea! I love Instagram, but haven’t had a clue how increase my audience and spread the love, so this is perfect!